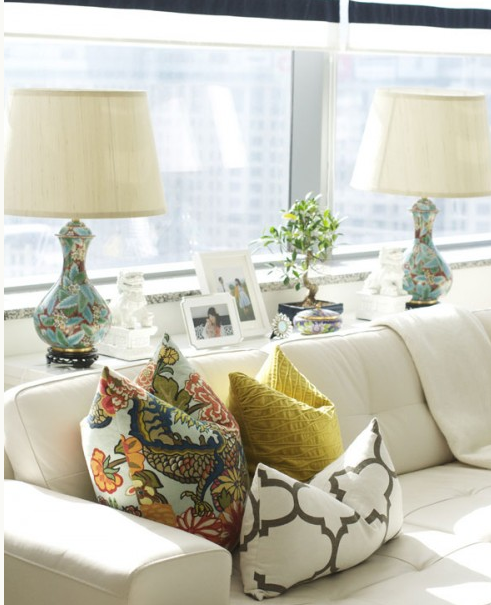 Madison Lane Interiors: Pillows: a quick fix for a new look! Pillows: a quick fix for a new look! Not only are pillows the easiest way to "change up" your current look, but probably one of the cheapest. If you read our latest Facebook post, you know we have lots of pillows on their way! 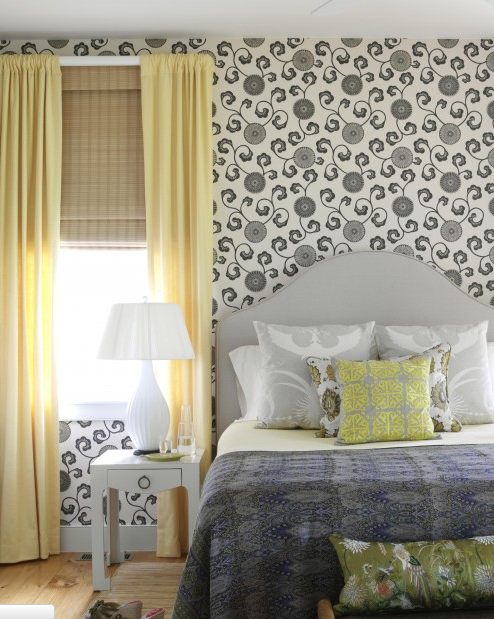 I've searched through one of my favorite online picture books, "Houzz", and gathered up some inspiration photos. Beds don't require an even number of pillows to look finished. 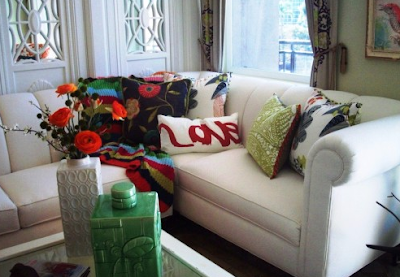 What a great mix of colors and patterns to warm up a white sofa. 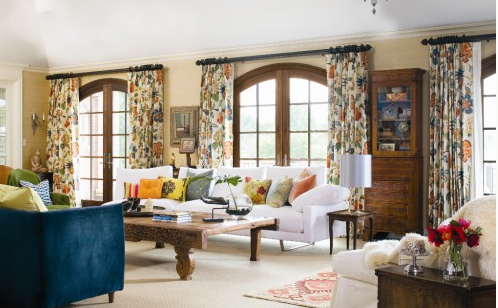 If your window treatments are the star of the room, show the colors again in the pillows. Who says the largest pillow has to be behind the others? Don't forget to add some rectangles in with those squares. 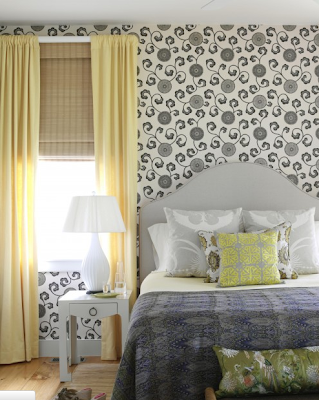 Mixing patterns can work if there is some solid fabrics in between. 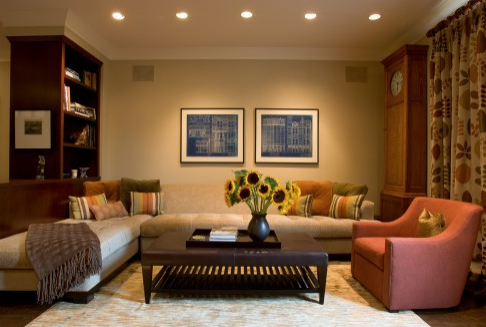 An otherwise formal sitting area becomes more comfortable with a mix of pillows. 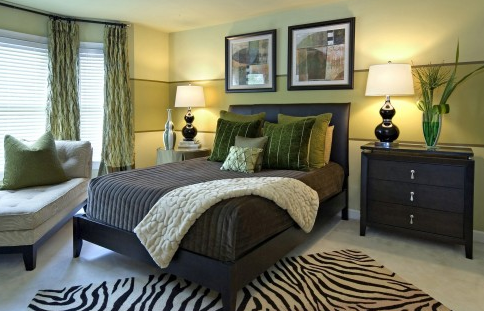 The rich green in the pillows really gives this brown and tan room an organic feel. Who said white walls were boring! It doesn't take many different colors to impact this living room. 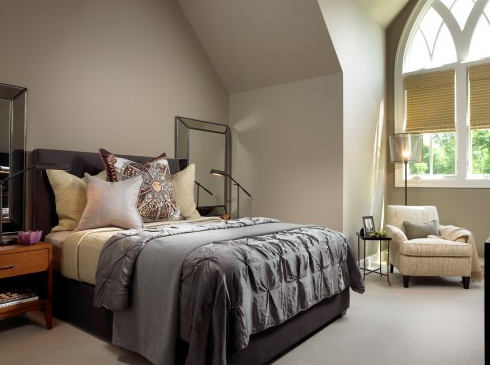 This room looks to be collected pieces, brought together with comfy pillows and throws. The rug helps tie in all the colors. Stop in and see our pillow collection! Don't forget we can do custom pillows, too.